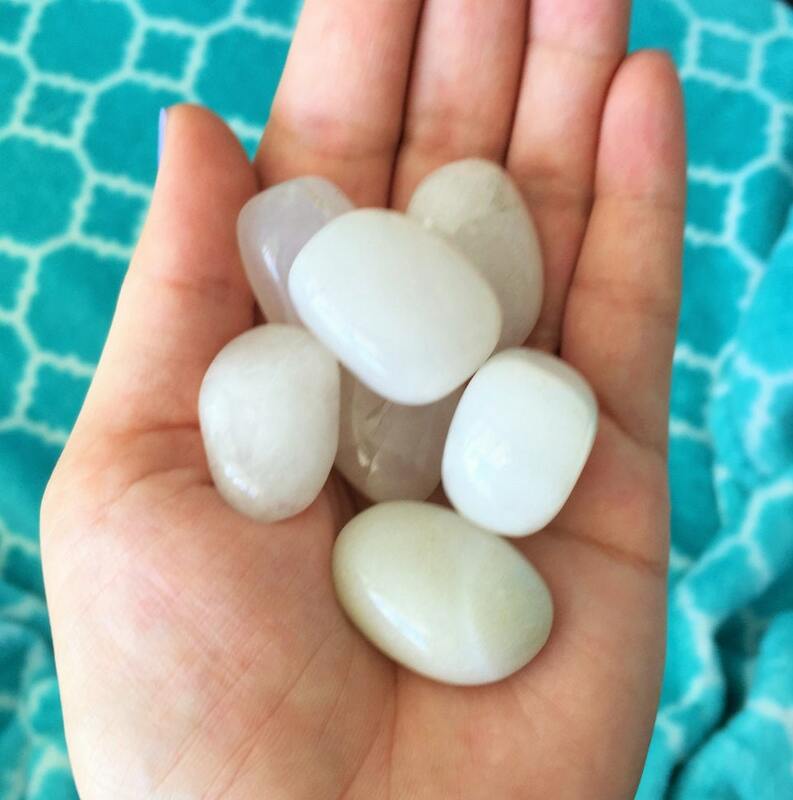 These white agate gemstones are chunky stones that are tumbled and smooth. 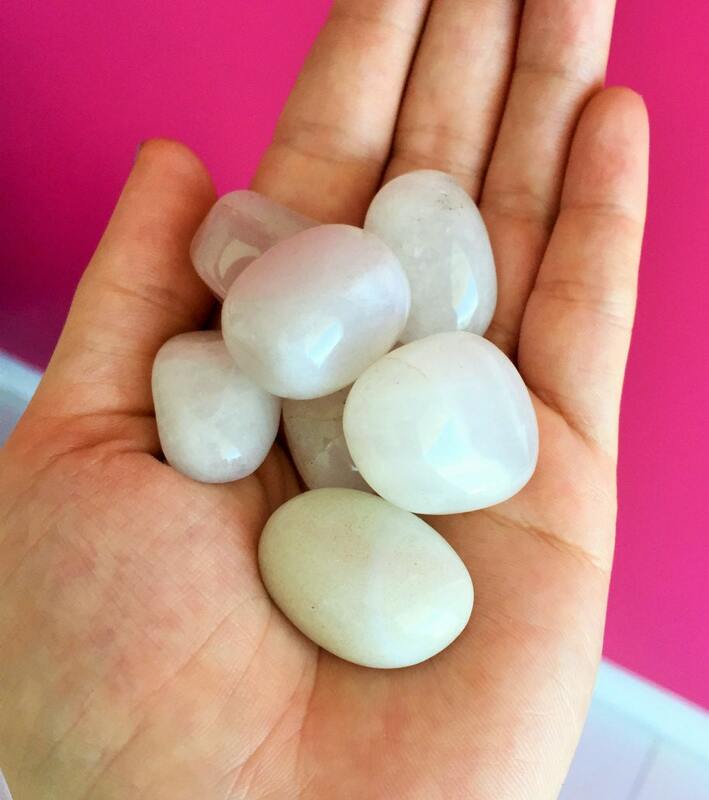 Their shape are organic, rounded both in elongated and in chunky "boulder" shapes. 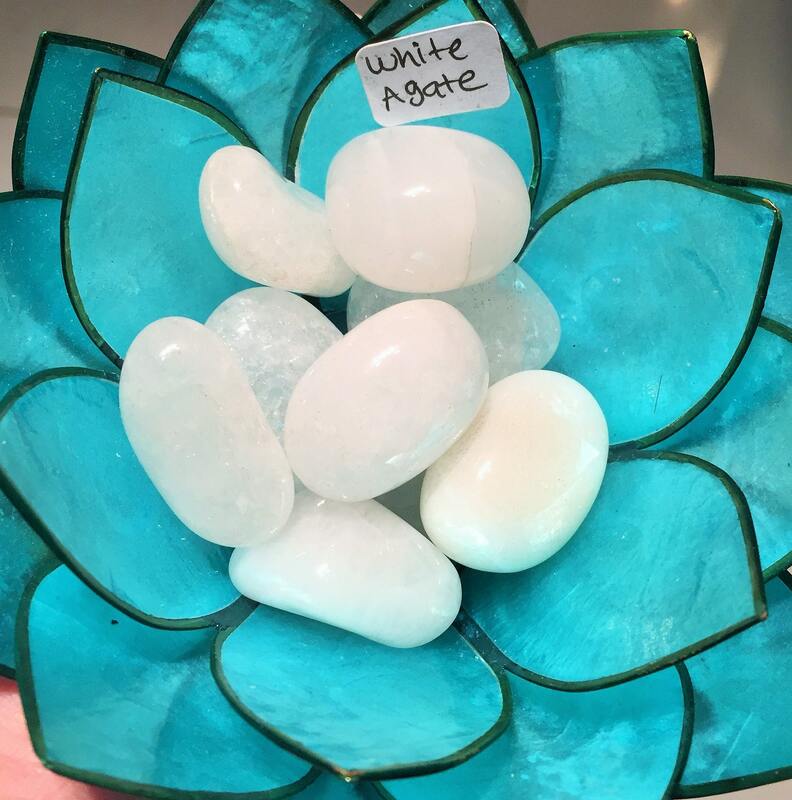 White AGATE is both a grounding and a spiritual stone, allowing for one to bring their spiritual experiences into their everyday reality. 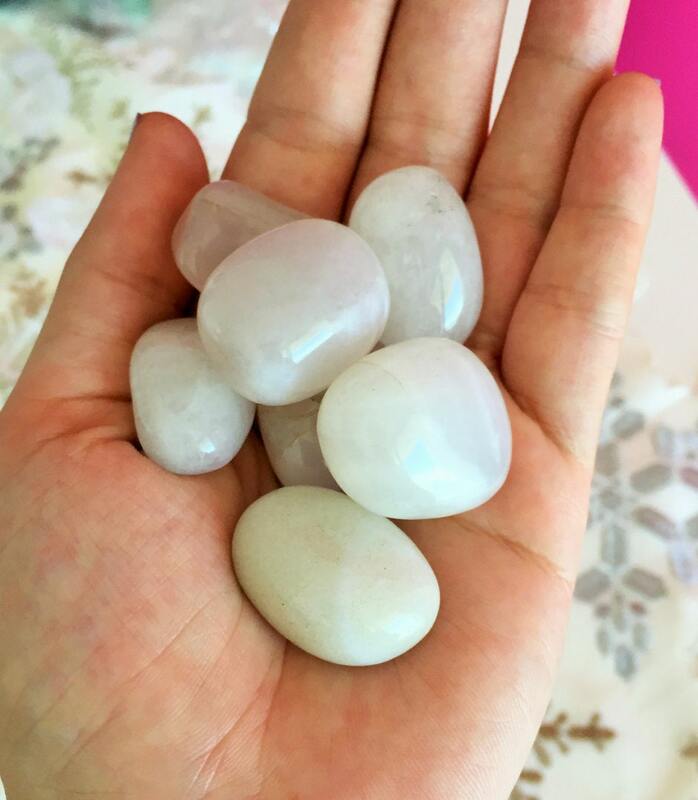 White Agate is believed to improve mental functions and can help where issues of clarity and stability are concerned.